A hand consisting of one of each Wind, one of each Dragon, and one of each One and Nine of the three suits. The fourteenth tile must pair with any one of the thirteen tiles enumerated. Pays the limit. 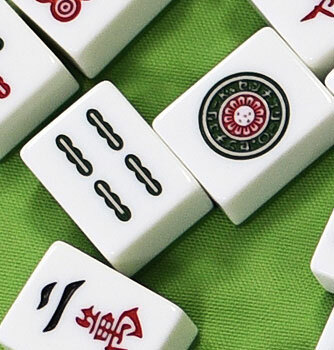 When East's original fourteen tiles (or after flowers and kongs have been grounded) form a complete hand. Extremely Rare. Pays the limit. When a player's other than East, completes his hand with East's first discard (and after flowers and kongs have been grounded). Extremely Rare. Pays the limit. When a hand is completed by drawing the last tile in the wall (last live tile), and this tile is the One of Circles/Dots. Pays the limit. When a hand is completed by a loose-tile draw (after a kong), and the tile is the Five of Circles/Dots. The loose-tile draw must be made after completing a kong and not after grounding a flower. Pays the limit. When a hand is completed by robbing a kong, and the tile taken is the Two of Bamboo's. Pays the limit. When a player completing a kong, draws a loose-tile which completes a second kong, he must draw another loose tile. 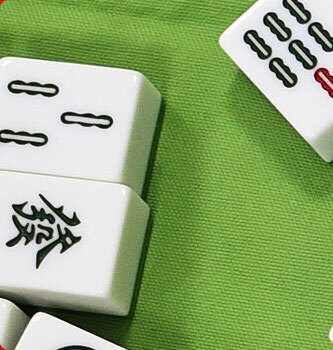 If this second loose-tile completes his hand he scores the limit. Seven different pairs of Honours (one pair of each Wind and each Dragon); or any seven different pairs of one suit. 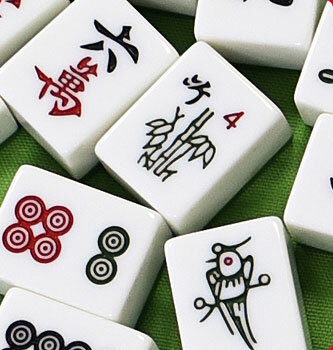 The final tile may be drawn or claimed on a discard. Note: This hand is in the American rules but is not recognized by the Chinese. Pays the limit.